Our family recently went to Disney World this past fall and my 6-year-old son’s one major request was to do The Pirates League at Magic Kingdom. It was an amazing experience, and I wanted to share lots of fun pictures with you as well as my top tips on how to get the most out of the experience. Tip #1 - Book Early! I was unfortunately informed by someone when I made our initial hotel reservations that "the Pirates League ALWAYS has openings." Not the case, as I found out. 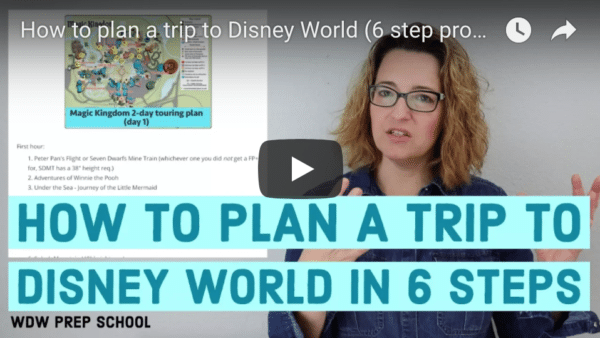 I waited to see how our plans mapped out for the other things on our to-do list (character dinners, Mickey’s Not So Scary Halloween Party, etc. ), and when I called about a month before our trip to make the reservation, it was booked. For our entire trip - booked solid! Welcome to panic mode! I ended up talking to a Cast Member that suggested I just try calling back every day to see if anything had opened up. Yes, I became that annoying person that would call you every. single. day. Sorry, Disney workers! However, it was not in vain as 4 days before we were scheduled to arrive, a spot opened up! Score one for mom! Another quick tip: if you are smarter than I am, and you call to book your little pirate when there are lots of available times, try to choose the earliest time in the day that is available. This is such a fun day for your child that they will want to do it first thing so that they can enjoy it for as many hours as possible. Buying your child's shirt/costume beforehand will save you a lot of money and save you from the worry that they might not have the shirt he (or she) wants in their size. I bought mine from the Disney Store online and then had it wrapped and ready to give my son the morning of our adventure. He didn’t know that we had in fact booked him for The Pirates League, so this was a great surprise! If you are going during the fall, and you plan to go to Mickey’s Not So Scary Halloween Party (which I highly recommend you do!) try to book The Pirates League for the same day. This will save the need to bring a costume with you in your luggage and your pirate will get a bonus use out of the makeup and costume. Why not get the most bang for your buck since you’re going to need a costume for the party anyhow? Don’t forget to take a before picture of your little pirate right in front of the Pirates of The Caribbean ride. This is really fun, especially if they go for the full face make up so that you can see the difference. ...as well as an after shot in the same spot. Please note: inside has really cool, moody lighting. (Read: slightly dark). If you have a good SLR camera and know it well enough to change your settings, try to shoot without using flash to get the most out of the cool lighting. If not, you’ll still great shots, but it will lose some of the vibe. If you can change the settings on your camera, I recommend shooting in Aperture Priority mode with your camera set at the lowest f-stop that your lens allows. If you’re anything like me, you aren’t wearing a lot of makeup (or any, in my case) on your Disney World vacation. However, if you’re going to do this it’s very important to remember to bring makeup remover with you, especially if you have kids with sensitive skin. This saved us a ton of time getting the large majority off of his face that evening. The only issue we ran into was trying to get all of the black eyeliner off without bothering his eyes too much. We did the best we could, and the next day he just looked like he had really great eyelashes thanks to the little bit that was left over! 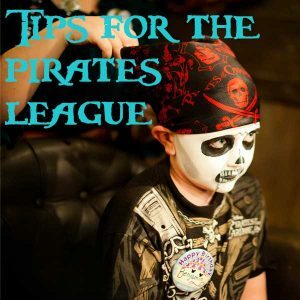 In all, The Pirates League is an amazing experience for your little one, and very affordable. My son said it was his favorite part of our trip. The rest of that day when he was all done up, we had so many Cast Members come up and say how scary he looked (a big deal for a 6-year-old boy). ...and he was even asked for his autograph by a Cast Member. Nothing that Disney does is done half way and The Pirates League is equally amazing. I have little doubt that when we make a return trip, my son will be doing The Pirates League again. Thank you for such great tips and pics, Nowelle! To book The Pirates League, you can call 407-WDW-CREW up to 180 days beforehand. The Pirates League is open between 9 a.m. and 2 p.m. (on party days, it's often open until 6 but those appointments don't seem to open up until closer to the date). PhotoPass photographers are present at the end to take pics but not during the appointment. Children must be at least 3-years-old to attend and adults are welcome as well. Packages begin at $39.95. Complete package details can be found on the official Disney World website. Thanks for all the information about the Pirates League. Both my 7 year old son and 4 year old daughter went “under the make up” and loved every minute of it. I would have never known enough about it to book without this helpful information. As a tip: I did try to find a pirate shirt/costume for my son, but couldn’t find any when we were going. I have already seen some at the Halloween shops at Target, etc. If you are going to buy one, I suggest getting it with Halloween goodies. For the makeup, we didn’t have any problems getting it off with warm water and soap for both my son and daughter. The make up didn’t irritate either of them and it didn’t smudge or drip. How long does the appointment take? I need to book fast passes for the day. Our appointment is at 930am for a boy and girl. Thanks so much for your website. I am finding it essential to planning our 3rd trip to WDW. I just booked today (and I feel so lucky) an appointment to turn our 4 year old girl and 7 year old boy in to a pirate and a mermaid. I went to the Disney Store link to find them a shirt/costume, but I didn’t see anything other than a Jake and the Neverland Pirates costume. Is that what you were referring? I like the shirt in the picture above. Any other tshirt/costume ideas? Thanks for the invitations as well. I was wondering how much time to allocate for 2 boys, 5 1/2 and 4 1/2 around Easter for the Pirate League. Just a quick note to anyone who needs to remove makeup like this, coconut oil which you can buy in the grocery store in the baking aisle will take it completely off! 🙂 even that black eyeliner wipes away easily with it! I cannot say enough wonderful things about our experience. Unfortunately my almost 5yo son kinda freaked out last minute and refused to have any makeup done at all. He became very shy, BUT his experience was still special. The ladies invited us in to see how everything was done and spent one-on-one time with him and “played the part” to the end. He got his pirate name and they hooked him up with pirate swag. They also asked him to come back if he changed his mind. I am so grateful to them for not brushing him off and putting in the extra effort to make him feel comfortable! What time is the parade? The parade is at 4:10. I could not get my daughter (5.5) into BBB but I booked this for her and my son(3.5). Does anyone have any experience/tips with the Mermaid portion of Pirates League? My daughter did this as a walk-in. She got the pirate princess costume. She loved it. They get to keep the extra make-up and she loved going back for the parade and interaction with Jack sparrow. We saw some girls done as the mermaids and they were cute. Makes them not look like all the other girls in the park that went to BBB. And she loves playing with her sword, sash, bandana, and eye patch still. My six year old daughter did this with my husband 2014. They were able to sit by each other and both loved it! The Pirates putting the makep on we’re great and it was an amazing atmosphere. My daughter did NOT like the eye liner, it bothered her all day, but loved becoming a pirate with her Dad. We made an 11:20 am appt. and Jack Sparrow and his side kick(can’t remember his name) came in before their show outside and said hello. They also took pictures and Capt. Jack teased my husband for becoming a pirate. The photos in the secret room came out amazing. It was a fabulous experience for my daughter and husband to share. MWe would do it again but request not to have the eye liner put on. Highly recommend!! We found that a great time to get into pirate’s league is when it is raining. We walk right up and wait just a few minutes outside under cover. By the time both of my sons were done being turned into pirates, the rain was over. Of course, if the rain comes back, the black makeup does not come off the rain ponchos. Small price to pay for a great time! Great information. I’m planning a first trip for my twin boys who will be almost 3.5 at the time of our trip in October. Although it states that it starts at age 3, do you think it’s age appropriate? They love Jake and the Neverland Pirates but haven’t been introduced to the “scarier” pirates. **Ask about The Jake and the Never Land Pirates Deluxe Package for $44.95 plus tax**. My son did the Jake when he was 3 and loved it!! That was 2 years ago. Can’t wait we are going back at the end of March and have booked it again, my kids enjoyed it so much. I have twin girls and the packages for them were equally as awesome! was it hard to eat with the make up on? did it smudge? I’d like to do this the night we go to MNSSHP which means we would need an appointment after 4pm. any idea how far in advance they open up late time slots on the party days? about how long does the appointment take? My son (in the pictures) had his done at 10:30 and then made it until 1:00 AM and had no issues eating. I’m wondering if my 4 year old would like this… he’s REALLY into Jake and the Neverland Pirates, and any pirate in general, but he’s never had makeup on his face. Anyone have any experience with this? Maybe I should suggest makeup one random day and see if he’s into it or not? My son had never worn makeup before and it didn’t bother him. He is also a redhead and has pretty sensitive skin and it didn’t bother him at all. We loved this experience too! My two daughters went along with my husband!!! Yes, this experience allows adults!! Which I realize takes a spot from a child, but as it happens we were travelling when they had lots of open spots. My youngest daughter got the Mermaid package and loved it! My oldest daughter got the same face as above and my husband got the zombie face. I was very surprised that NONE of them complained about the heat of the makeup, and the make up did not smudge or drip…it looked amazing all day! We did find that we scared a lot of little people while we spent the day in the park! Oh, and we had a 9am appointment…but no getting in the park early! It was a great experience for all of my family members!